To operate a business from your home, you must apply for a Home Occupation Permit and a Business License. Individuals interested in operating a business from their home may apply for a Home Occupation Permit--a free application administered by the Department of Planning and Community Development. Any occupation or activity which is clearly incidental to the use of the premises for dwelling purposes and which is carried on wholly within a main building or accessory building, other than business gardens as defined, by a member of a family residing on the premises, in connection with which there is no advertising on the premises, and no other display or storage or variation from the residential character of the premises, and in connection with which no person outside the family is employed and no equipment which is deemed to be in conflict with the intent of this definition. A home occupation shall not include beauty parlors, barber shops or doctors' offices for the treatment of patients. The foregoing notwithstanding, providing professional counseling services by appointment only for not more than ten (10) clients per week, and giving music lessons shall constitute home occupations. In general, for all home occupations, no one should be able to tell the property is being used for anything other than a residential use as no advertising signs can be posted on the property; no customers—other than as permitted within the definition—can come to the property; no one that does not live on the property can be employed or work at the property, excessive deliveries atypical of a residential use should not occur; and no equipment shall be seen, noises heard, or odors smelled that is out of character from a residential use. 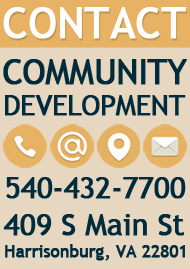 Contact the Department of Planning and Community Development's Zoning Division at 540-432-7700 to inquire about Home Occupation Permits. 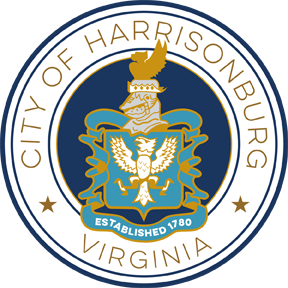 All business and professional operations must obtain a business license before commencing operation in the city of Harrisonburg, including home based businesses. A business license is obtained at that Commissioner of the Revenue Office. For more information visit Commissioner of the Revenue.